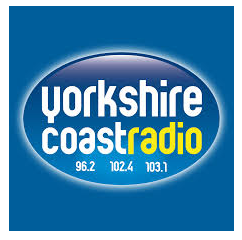 UPDATED Listeners in North Yorkshire will be able to listen to Yorkshire Coast Radio on the new local DAB digital radio multiplex for the county. Multiplex operator Muxco has announced that test transmissions are about to begin ahead of an official launch at 8:45am on Tuesday 17th February 2015. Yorkshire Coast Radio offers contemporary and classic hits for Scarborough, Whitby and Bridlington on FM. DAB carriage will expand the station's reach across much of the county. The version carried on DAB will be an extra service, with the facility for opt-outs to the FM service, with additional speech content. The North Yorkshire local DAB multiplex was launched in December 2014, Originally due to launch from three transmitter sites, MuxCo North Yorkshire's fourth site on Oliver's Mount in Scarborough was also brought into service on launch day, bringing local DAB into Yorkshire Coast Radio's FM patch.